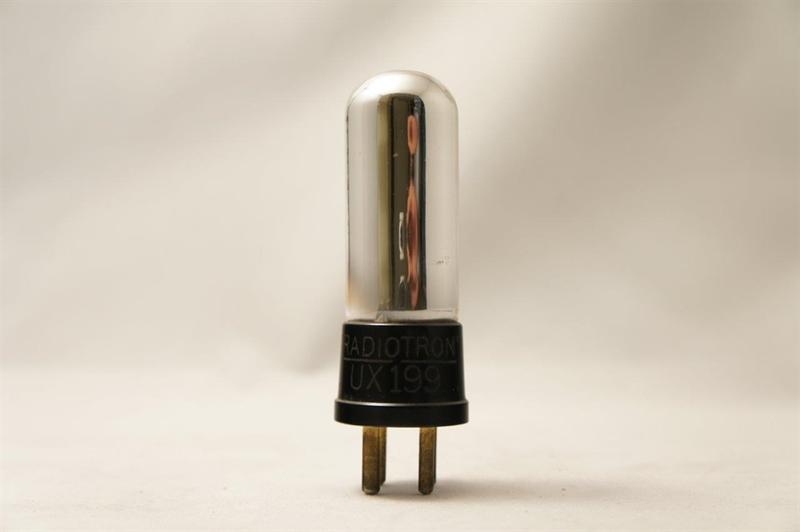 Triode consists of a vacuum tube with three electrodes which are Cathode, Anode and a Control grid. It consists of cylindrical glass bulb with top exhaust tip and with 4 pin UV style base. Triodes have a hot cathode electrode heated by a filament, which releases electrons, and a flat metal plate electrode to which the electrons are attracted, with a grid consisting of a screen of wires between them to control the current. 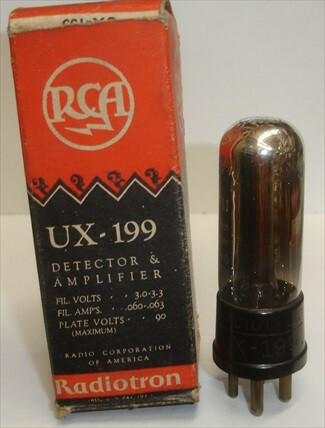 The Radiotron UX-199s have a tubular plate assembly, with a circular cross section, and the plate is supported on only one side. There is a glass bead above the plate that supports the grid. The filament appears to be a fine wire running in a single straight line from below the plate to just above.